In the Ford deal, the city of Detroit has also approved Commercial Rehabilitation Act and Obsolete Property Rehabilitation Act tax abatements worth $27 million over 12 years. The Detroit Economic Growth Corp. estimates the project will provide $370.7 million in net fiscal benefit to the city of Detroit and other taxing jurisdictions. Aptiv US Services General Partnership received a $30.6 million Good Jobs for Michigan tax capture benefit to support a renovation of its Troy engineering center that will result in the investment of $20 million and the creation of 500 jobs. Aptiv, a subsidiary of Delphi Automotive, has 150,000 employees at 14 technical centers around the world. State officials said Michgian beat out other locations in several states for the project. Individuals interested in careers with Aptiv should visit https://www.aptiv.com/careers. Samsung SDI Co. Ltd. Received a $10 million Michigan Business Development Program performance-based grant to support a $62 million project that will create more than 460 jobs. San Jose, Calif.-based Samsung SDI America currently has 130 Michigan employees and plans to expand by creating its first high volume automotive battery pack manufacturing plant in the United States in Auburn Hills. The Michigan site won out over strong domestic and international competition, state and Oakland County officials said. The city of Auburn Hills anticipates approving a property tax abatement in support of the project. Individuals interested in careers with Samsung SDI should visit http://www.samsungsdi.com/career/job-description-philosophy.html. The Hazel Park Brownfield Redevelopment Authority received approval of $21,436,910 in local and school tax capture to support a business development project that will involve the new construction of two speculative commercial buildings on a portion of the former Hazel Park Raceway The Tri-County Commerce Center Redevelopment Project will consist of constructing TCCC Building 2, a 650,000-square-foot building, and TCCC Building 3, an 804,000-square-foot building. The new buildings will be constructed as modern, flexible space, high-bay, multi-tenant, move-in ready facilities for manufacturing, warehouse and distribution uses. The project is expected to generate a total capital investment of $85 million and create 613 full-time equivalent jobs, and will bring an inventory of high-quality, readily available space for manufacturing companies looking to invest or grow in Michigan. The tax capture will be used to alleviate brownfield conditions at the site. Gallagher-Kaiser Corp. headquartered in Troy, received a $3.2 million Michigan Business Development Program performance-based grant to support a $9.3 million project to build a steel fabrication Center of Excellence at its Detroit plant. The company provides engineering, procurement, and construction support to its customers, primarily automakers. Gallagher-Kaiser is one of the top paint finishing suppliers and also provides pre-finished steel equipment to be used by manufacturers. The city of Detroit anticipates approval of a property tax abatement in support of the project. For information on careers with Gallagher-Kaiser, visit http://www.gkcorp.com/careers/. Spartan Michigan LLC, a joint venture between Glanbia plc, Dairy Farmers of America Inc. and Select Milk Producers Inc., received a $2 million Michigan Business Development Program performance-based grant to support a $425 million project to build a 142-acre dairy processing plant in St. Johns that will create up to 259 jobs. The plant is expected to process more than 8 million pounds of milk per day and manufacture cheese and whey protein powder. The project was originally announced in August, when the Michigan Strategic Fund board recommended approval of a 15-year Agricultural Processing Renaissance Zone by the State Administrative Board. The plant is currently under construction. UP Paper, established in 1920 in Manistique, received $1.9 million in collateral support for the company’s working capital line to support an expansion that will add four new employees in the next six months and an additional four within the next two years. The company currently employs 97 people. Heritage Tower BC LLC received $10 million in Michigan Community Revitalization Program loans and equity investments to support a $32.3 million rehabilitation of a long-vacant downtown Battle Creek building into a mixed-use development. The project is expected to create 15 full-time-equivalent jobs and bring new residents and business to the downtown area. The completed project will consist of market-rate apartments and commercial, retail, office space. The 19-story building is the tallest building in Battle Creek. In addition, the Battle Creek Brownfield Redevelopment Authority received MSF approval of $2,426,600 in local and school tax capture to be used to alleviate brownfield conditions at the site. Through an investment by the W.K. Kellogg Foundation, the city of Battle Creek is contributing a $5 million investment in support of the project, and has approved Obsolete Property Rehabilitation Act and Neighborhood Enterprise Zone abatements for the project valued at $3.1 million. Other local support includes a $3 million investment from Battle Creek Unlimited and a $450,000 contribution from the Battle Creek Community Foundation. The Kalamazoo Brownfield Redevelopment Authority received MSF approval of $3,844,493 in local and school tax capture to support the Catalyst 12 project in downtown Kalamazoo. The project includes the redevelopment of an existing surface parking lot into a seven-story mixed-use building that, when completed, will include office space and 49 market-rate and affordable residential units. The project is expected to generate a total capital investment of $70.8 million and create 50 full-time equivalent jobs, and will bring increased density and vibrancy as well as much-needed residential and commercial space to the downtown. The tax capture will be used to alleviate brownfield conditions across the site, making it suitable for redevelopment. 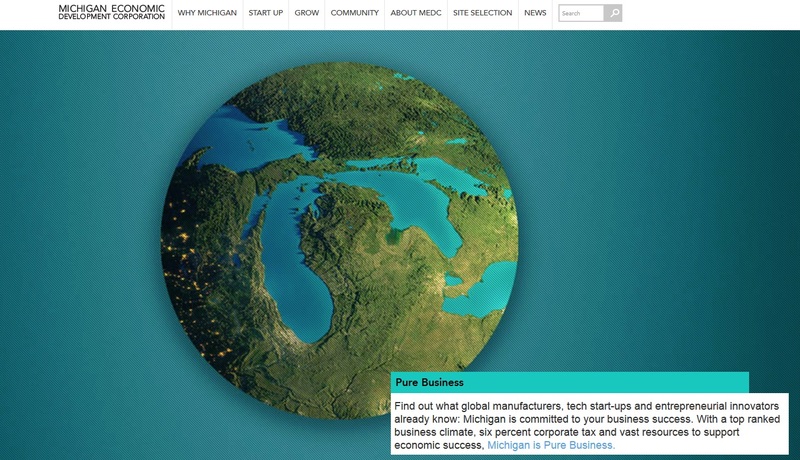 The Michigan Strategic Fund also approved a $2,125,000 MSF grant for the Michigan Manufacturing Technology Center to continue to provide support services to Michigan’s manufacturing industry, including assistance in support of the Pure Michigan Business Connect program.